As challenging as trail and ultra running can be, figuring out a training plan for a race can be even more confounding it seems. For road racing there’s no shortage of training plans out there in books, running magazines, and in the form of iPhone apps. Many seem to be based on the tried and tested mix of interval training (where you run a series of specified distances at a particular pace with periods of rest in between); tempo runs where you run at a sustained pace for a longer period of time or distance; and long runs. For a while my running life was controlled by the Runner’s World training app or “SmartCoach”. After it disappeared from the face of the App Store and ceased to receive updates, I switched to the Run Less, Run Faster (RLRF) approach. RLRF was developed by the Furman Institute of Running and Training in the US and I used their book and iPhone app to plan my training, including for my first ultra. Restricting yourself to three runs a week may seem rather lightweight but I was persuaded that it would help reduce the possibility of injury. It was also more manageable in terms of work/life commitments – especially if, as I did, you ignore the cross training and stick to the running. Even skimping on the cross training, as the weeks passed by I became noticeably fitter (and thinner), faster and better positioned to go the distance in my first ultra. The problem with RLRF is that it’s geared towards road racing up to, but not beyond, marathon distances. Ultra races start at 50km, tend to be off road, often involve significant climbing and slower and much less even paces than you might sustain for a road race. In any event, RLRF got me through my first 50km ultra, where my goal was to finish (with a smile). However, if I want to progress beyond just finishing to improving on a time, performing better in my age group, or simply running further than i’ve run before, then I probably need an approach to training that’s tailored to the distances and terrain that i’ll be covering. So, what are the options? One is to get a trainer with ultra experience and have them figure out a plan, based on my goals and the time available for training. If you can find such a trainer through a local running club that’s great. The alternative is to enlist a paid professional. There are also online training options where you pay a start up and monthly fees and receive coaching and advice in person or over Skype and email. But the costs for this can be prohibitive (US$200 set up fee, plus US$230/month). That’s not to say that it isn’t money well spent, just that it can be a lot of money – and would seriously impact my gear buying. 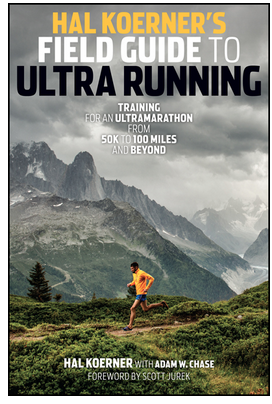 Like with road running, there’s an increasing number of ultra training plans and advice available in books, magazines and online. Several of the plans have been usefully collected and analyzed at fellrnr.com. For general training and ultra advice, i’ve relied on Hal Koerner’s Field Guide to Ultra Running which i’ve found to be very useful. Koerner’s book includes training plans for 50km, 50 miles, 100km and 100 miles. 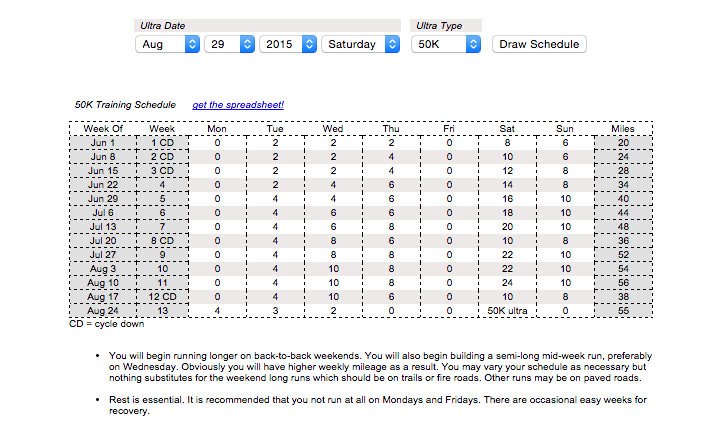 As I turned my attention to planning for the coming racing season, I looked at Koerner’s 50km plan but quickly looked away when it became apparent that the plan has you running six days a week and the distances are in miles and not kilometres. It all suddenly seemed rather beyond me and the time I have to train. What I like about Koerner’s plan is its inclusion of tempo runs, hill repeats and speed work or fartleks. He also provides some guidance on what those involve. When you start to delve into the literature, there are those who still consider intervals/fartleks, tempo runs and hill repeats as important training for ultras; and those who think the emphasis should be on simply logging miles. I’m inclined to the former. There are some drawbacks with this. First, it doesn’t take into account your fitness level and i’m fairly sure that what works for Kilian Jornet won’t necessarily work for me. 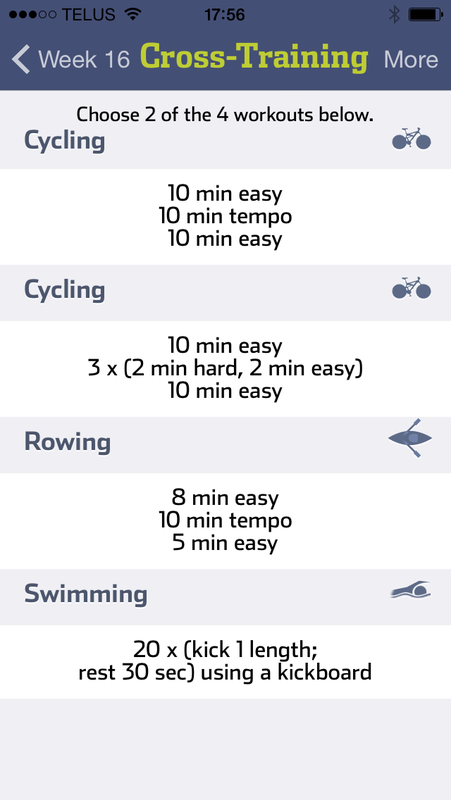 The RLRF approach uses your 5km pace as the basis for the speed work, tempo and long runs. Second, the plan is purely based on distance. There’s no provision for intervals, tempo runs or hill repeats. 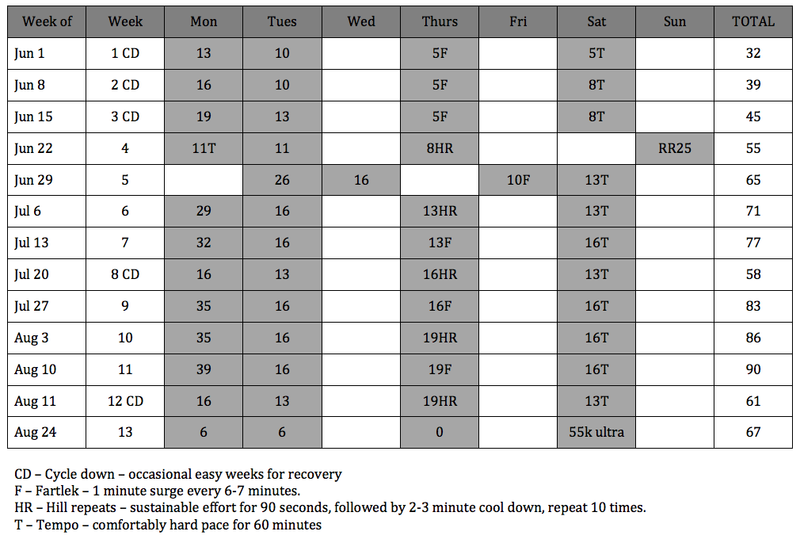 As I mentioned, i’m not convinced that simply running, even long distances, is the optimum way to prepare for an ultra. Intervals, tempo runs and hill repeats have an important role in developing fitness, speed and stamina on the trails. All that said, compared to Koerner’s plan, the distances seem more realistic when you consider my current state of fitness. And it has you running five rather than six days a week which almost fits with the time I can set aside for training. This particular plan is intended for the 55km TrailStoke on 29 August and includes Rundle’s Revenge on 28 June. Following that pesky but luckily resolved foot problem earlier this year, i’ve lowered my sights and will run the 25km rather than 50km distance at Rundle’s Revenge as preparation for TrailStoke. A feature of the plan that i’ve not tried before is to include back-to-back long runs (on Mondays and Tuesdays). This seems to be the approach with both Koerner and Santa Clarita Runners and seems widely recommended by ultra runners as a sensible way to build up to and emulate the longer distances involved in ultra racing. Anyway, we’ll see how this goes. I sense a certain amount of trial and error ahead but at least i’ve arrived, finally, at the start. Let’s hope it gets me to the finish at TrailStoke and, better still, in a reasonable time and in good shape. Previous Article Canmore needs you!